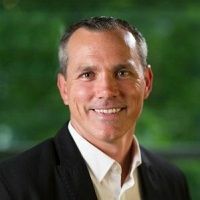 From entrepreneurial ventures to Fortune 500 companies, Clancy Ryan has earned the reputation as a leader and innovator in sales and technology. Clancy currently serves as the Vice President of Sales at the Washington Post. Previously, he served as Vice President of Sales for Glu Mobile (Nasdaq: GLUU), a global publisher of innovative games for mobile phones, delivered through the leading platforms like Apple and Google. Most recently, he served as Chief Revenue Officer for Punchkick Interactive. During his career, he has managed sales and development for The Discovery Channel, Penske Logistics & Leasing (Rollins), and Bank of America (Sky Financial). Clancy also founded 3D Wireless Games, which was eventually sold to Superscape Group PLC. Sarah Laggos is a transplant to Santa Rosa, CA from Chicago, IL where she was born and raised. Sarah currently works for the Santa Rosa Junior College Foundation to increase community connections and giving to the college. Prior to moving to California, Sarah worked for DePaul University’s Center for Sales Leadership as the Manager of Corporate Relations. 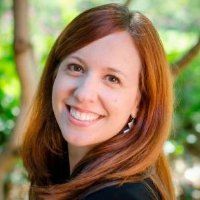 An adjunct faculty member for DePaul University as well, Sarah was awarded the 2011 Daniel Seiden Outstanding Adjunct Faculty award and also taught two classes, Effective Business Communication and Sales for Social Impact. A ‘Double Demon’, Sarah received her B.S. in Psychology and M.S. in Public Service Management from DePaul. Sarah and Clancy Ryan co-founded the Sid Feldman Legacy Fund scholarship to provide access to a DePaul education for Chicago Public High School seniors. Although she lives thousands of miles away, she’s still an active participant in the Sid Fund. An avid Chicago Bears fan, she has yet to adjust to a winter without snow!